Zac Brown, Miranda Lambert and Chris Stapleton have signed on for a new concept album produced and spearheaded by Grammy-nominated producer Dave Cobb. 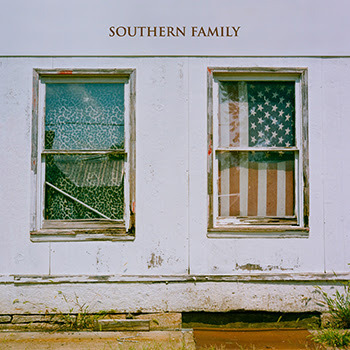 Southern Family will release March 18 via Cobb’s Low Country Sound/Elektra Records. The project features 10 original songs, along with two covers, including Morgane Stapleton with Chris Stapleton on “You Are My Sunshine.” Brandy Clark, Brent Cobb, Anderson East, Jason Isbell, Shooter Jennings, Jamey Johnson, Rich Robinson, John Paul White and Holly Williams will also be included. The album is inspired by 1978’s White Mansions, a Civil War concept album written by British performer Paul Kennerley, produced by Glyn Johns and featuring American musicians like Waylon Jennings and Eric Clapton. In addition to being nominated for Producer of the Year at the 58th Annual Grammy Awards, Cobb is also nominated for Album of the Year and Best Country Album (both for Stapleton’s Traveller) and Best Americana Album (Isbell’s Something More Than Free). Previous awards include the 2015 CMA Award for Album of the Year (Traveller) and the 2014 Americana Music Award for Album of the Year (Isbell’s Southeastern) as well as Grammy nominations in 2011 and 2007 for Best Country Album (Johnson’s The Guitar Song and That Lonesome Song). 11. Shooter Jennings, “Can You Come Over”?